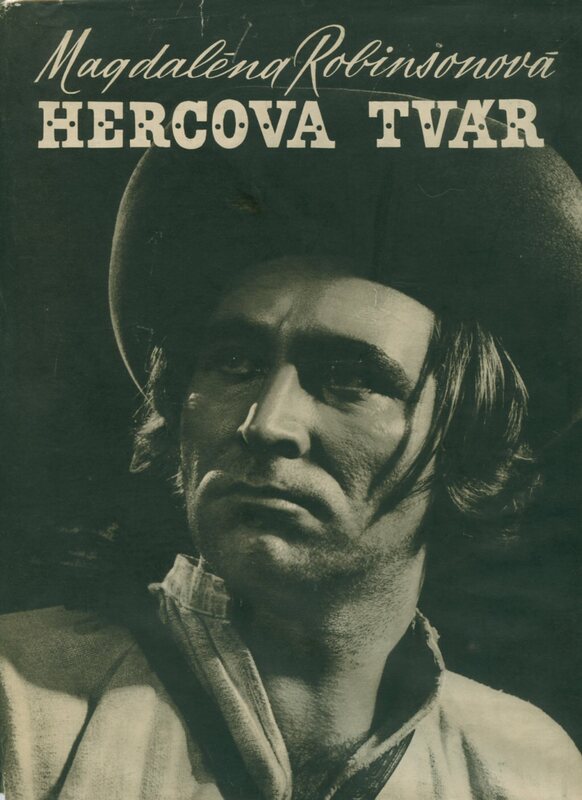 Published by Drzavna Zalozba Slovenije, Ljubljana 1964. 1964. Vintage piano sheet music in colour card covers. 12½'' x 9½''. Contains 31 printed pages of score for the piano with words. Without any tears and in Very Good clean condition. Member of the P.B.F.A. Baerlein, Henry [Czechoslovakia (Czech and Slovak: Ceskoslovensko, Cesko-Slovensko) was a sovereign state in Central Europe that existed from October 1918, when it declared its independence from the Austro-Hungarian Empire, until its peaceful dissolution into the Czech Republic and Slovakia on 1 January 1993]. Published by Bretano's Ltd., London First Edition 1929. London 1929. First edition hard back binding in publisher's original delphinium blue cloth covers, black title and author lettering to the spine, illustrated map end papers. 8vo. 7½'' x 5¼''. Contains 256 printed pages of text. Rubs to the spine ends, marking to the spine and back cover, foxing to the closed page edges and minimal foxing to the first and last few pages. In Very Good condition, no dust wrapper. Member of the P.B.F.A. 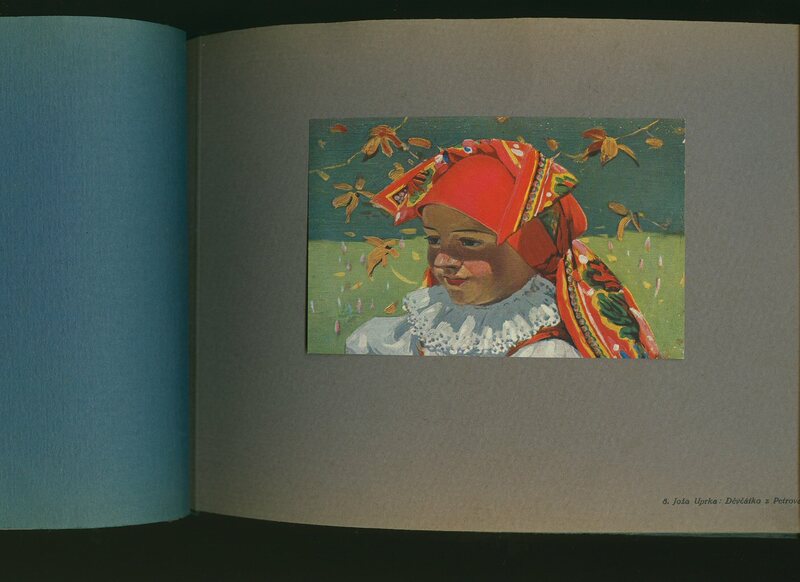 Joza Uprka, also written Joza stampede (October 26, 1861 Knezdub - January 12, 1940 Grape Lhota) was a Moravian painter and graphic designer, representative of romantic historicism and Art Nouveau decorativism. 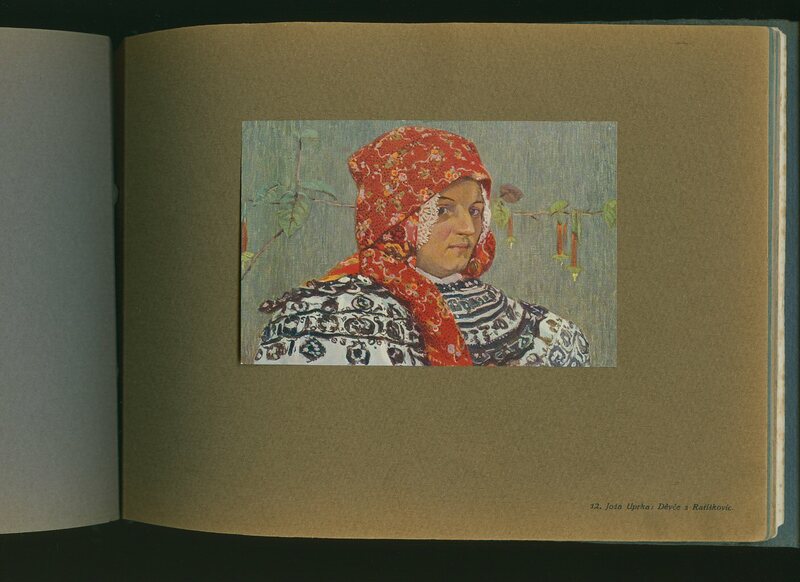 His work is a document of ethnographic folklore in Southern Moravia. 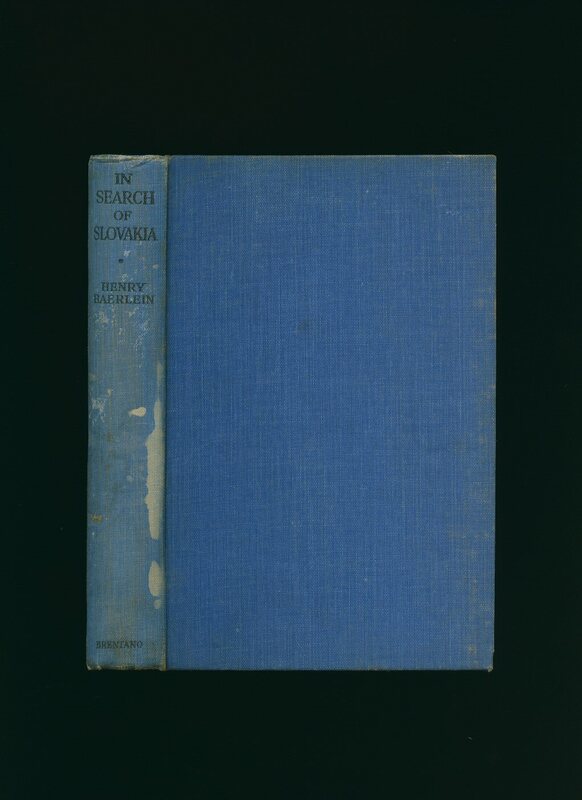 [Text by Dr. Alois Kolísek] [Czechoslovakia (Czech and Slovak: Ceskoslovensko, Cesko-Slovensko) was a sovereign state in Central Europe that existed from October 1918, when it declared its independence from the Austro-Hungarian Empire, until its peaceful dissolution into the Czech Republic and Slovakia on 1 January 1993]. Reprodukce a tisk Unie v Praze [Reproduction and printing of the Union in Prague] circa 1920. 1920. Publisher's original silk tied card wrapped covers [soft back]. Landscape 8'' x 11''. 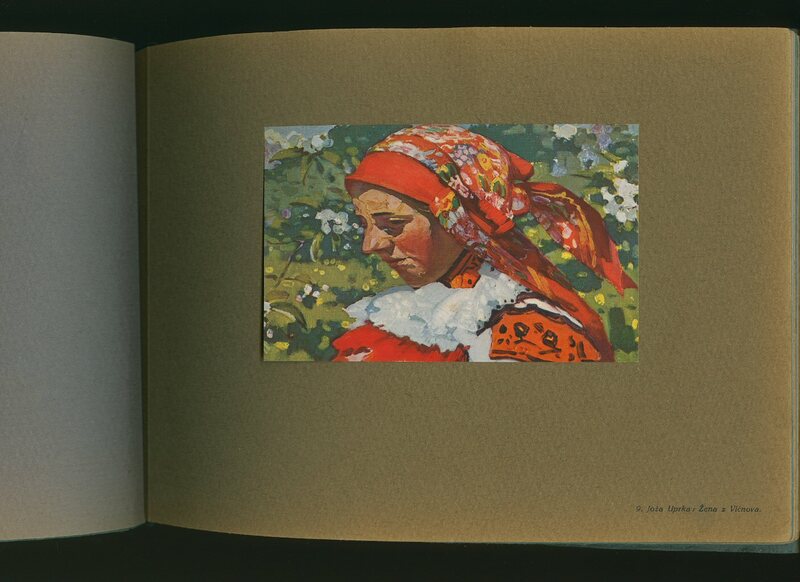 Contains 17 superb mounted colour plates on card stock followed by 12 printed pages of descriptive Czech text by Dr. Alois Kolísek. 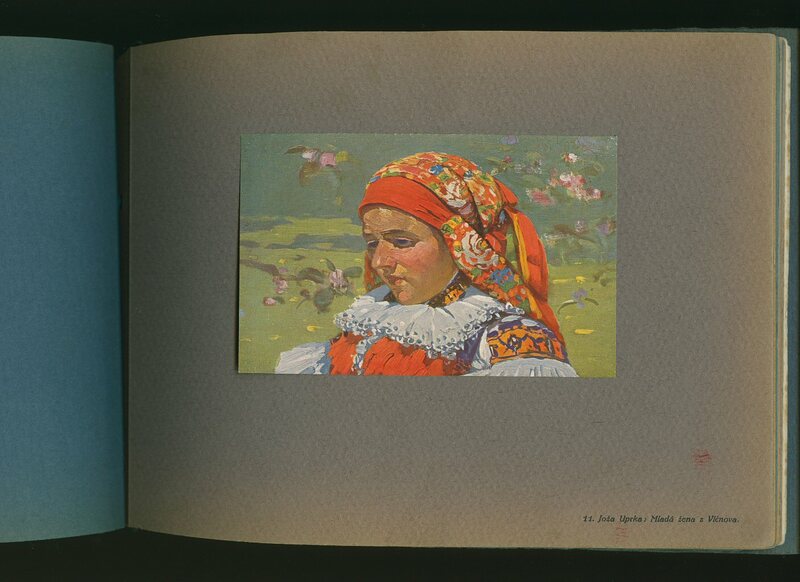 Separately enclosed is a card showing number 16 of 16 and explaining about the separate image from the great three colour reproduction neotypie, this is mounted on white card and is loosely inserted. Foxing to the end papers and page text, no foxing to the mounted plates, neat repairs to the card covers, damp stain to the top front cover. Extremely scarce. Member of the P.B.F.A. Muzeum mesta Bratislavy. Das Stadtmuseum in Bratislava. Le musee de le ville de Bratislava. Published [Umschlagt. :]Museum Civitatis Bratislavensis. (Bratislava) circa 1950. 1950. 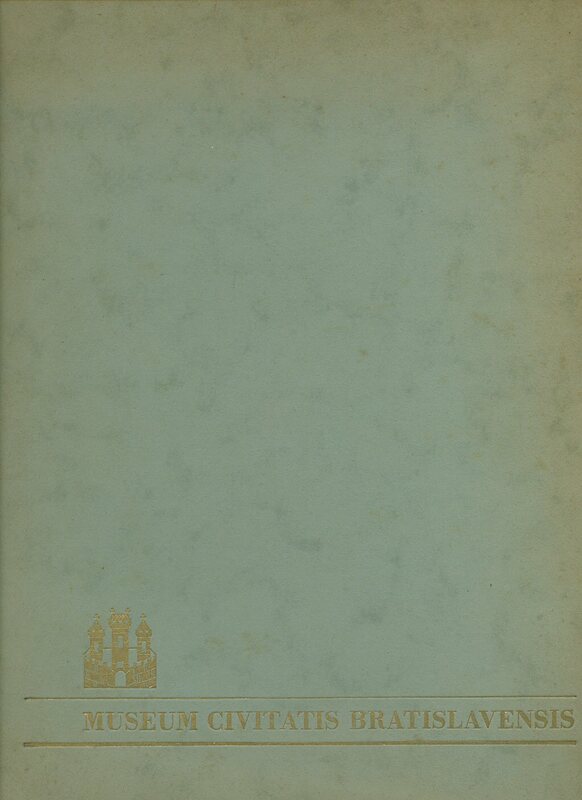 Hard back binding in publisher's original grey paper covered boards, gilt title lettering to the front cover. 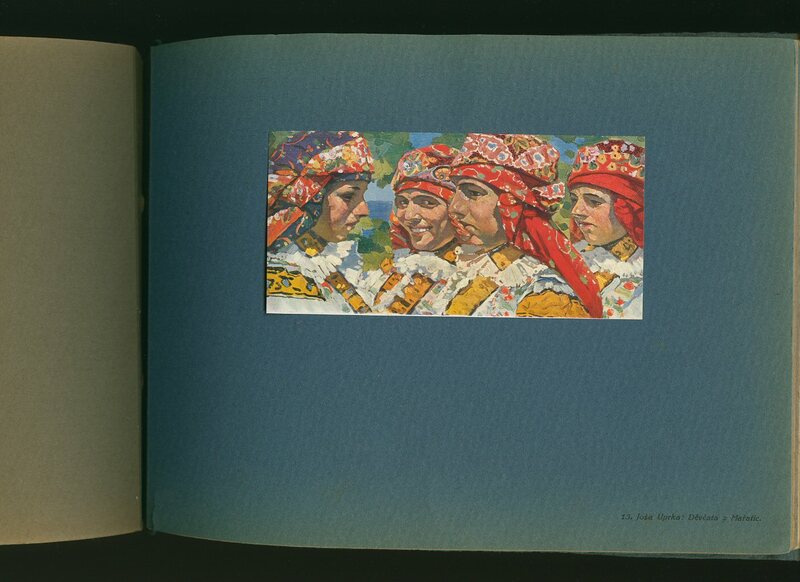 Folio 12'' x 9½''. 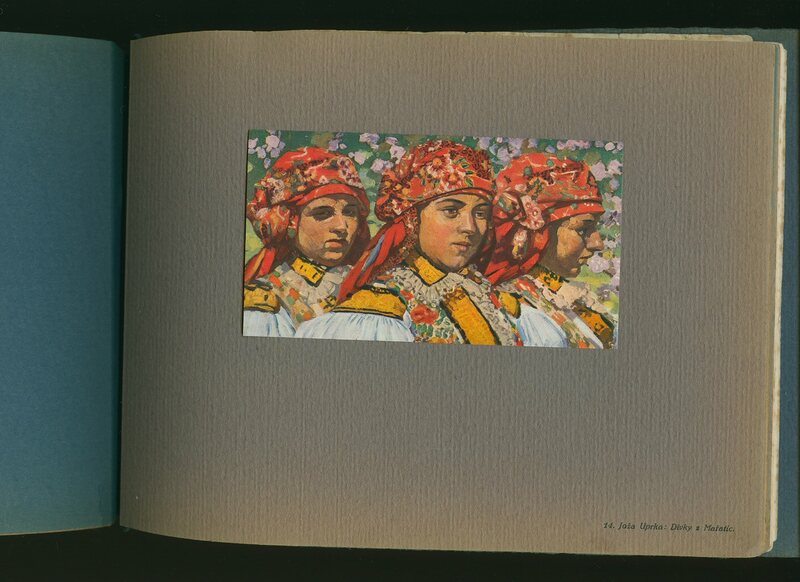 Contains 4 printed pages of text in Slovak, German, and French followed by 60 tissue-guarded single-sided colour and monochrome illustrations and photographs. In Very Good clean condition, no dust wrapper. Member of the P.B.F.A. 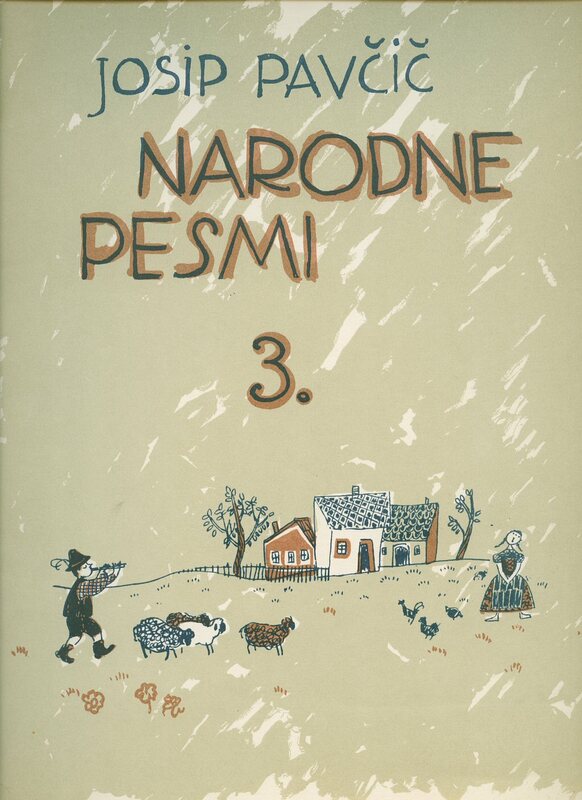 Published Slovenske Vydavatelstvo Krasnej Literatury Prvé Vydanie 1955 [ First Edition 1955]. 1955. First edition hard back binding in publisher's original donkey brown cloth covers, gilt title lettering to the spine and to the upper panel. Folio. 12'' x 9''. 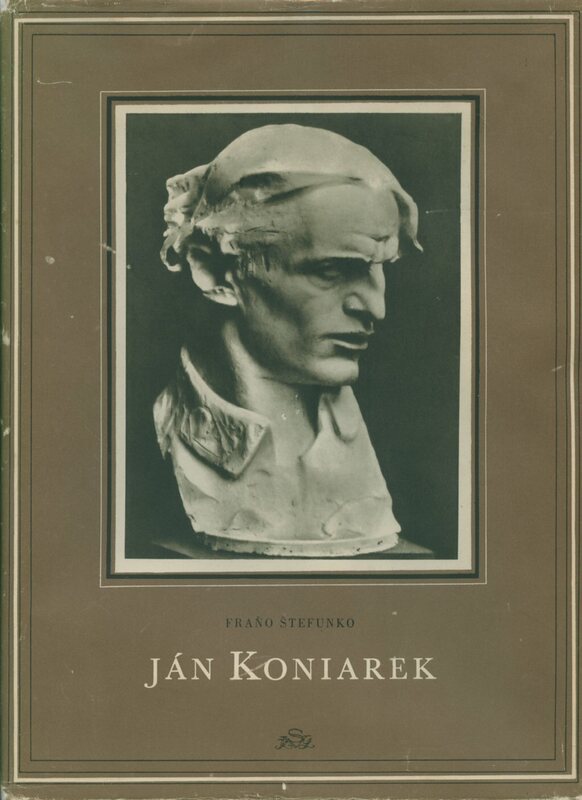 Contains 68 printed pages of Slovak text followed by 127 full-page captioned monochrome photographs of his work. Very Good condition book in Good condition dust wrapper with chips and rubbing to the corners and edges. Dust wrapper supplied in archive acetate film protection, it does not adhere to the book or to the dust wrapper. Member of the P.B.F.A. Published Slovenske Vydavatelstvo Krasnej Literatury Prvé Vydanie 1955 [ First Edition 1951]. 1955. First edition hard back binding in publisher's original oatmeal cloth covers, brown title lettering to the spine and to the upper panel. Folio. 12'' x 9''. Contains 11 page introduction followed by 155 superb full-page single-sided monochrome photographs of her work, followed by another 30 pages of text. Very Good condition book in Good condition dust wrapper with chips and related closed tears to the corners and spine ends. Dust wrapper supplied in archive acetate film protection, it does not adhere to the book or to the dust wrapper. Member of the P.B.F.A.